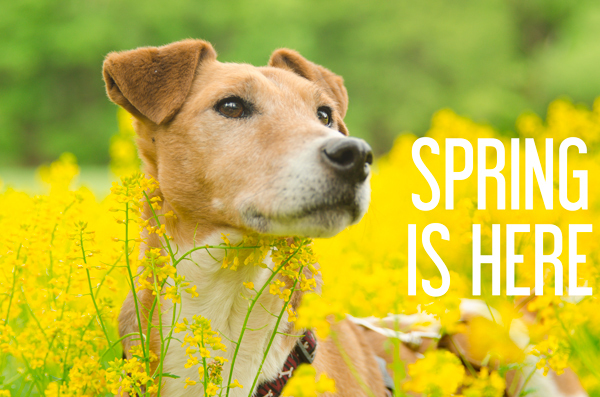 Spring is arriving… are these symptoms also showing up with your pet? You might be surprised to learn that these problems aren’t really about the skin, stomach, or ears. The liver may be what needs support to reduce these kinds of symptoms and restore health. WHAT DOES THE LIVER HAVE TO DO WITH ALLERGIES? A healthy liver produces an enzyme called histaminase which acts as a natural antihistamine. When the liver is stressed it cannot produce enough of this enzyme so the natural protection is gone and allergy symptoms appear. Dogs have ten times more mast cells in their skin the humans, so itching all over the body is a common way allergies show up. The real problem with chronic inflammation like this is that it instigates chronic disease, so taking care of these issues with natural foods and supplements pays off in the long term health of your pet. When you suppress symptoms or even suppress the immune system to achieve quick results you may be creating a ticking time bomb of more severe health issues in the future. Natural, whole-food supplements work best when given consistently over time. They allow the body to naturally and easily adjust to a healthier state. When paired with a natural diet they work even better! If your pet is unaccustomed to natural supplements, start slowly – spend a week getting the dose to the full amount, and wait 2 weeks to start new supplements. If your pet is very ill please use herbs under the guidance of a qualified practitioner. Digestive enzymes, probiotics, and omega-3 fatty acids should be used all year. You can get these from fresh food sources or in supplement form. Some pets do best starting with the most simple and reliable products like Animal Essentials Plant Enzymes and Probiotics added to their regular food. Once they are stable with that small change you can make more changes. Seasonal liver support formulas are key for seasonal symptoms. 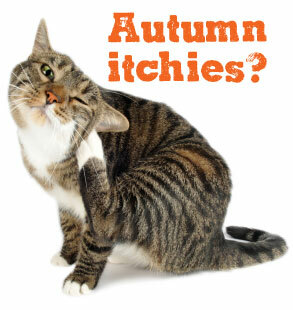 If your pet symptoms like itchy skin, even if not all the time. you can use an herbal liver support formula for a few weeks in early Spring and Autumn along with one that provides symptomatic relief like Animal Essentials Spring Tonic. We have several options of liver support products to choose from for all levels of care; for pets with good vitality we often recommend the Detox/Liver Cleanse from Sustenance Herbs. Pet’s with chronic symptoms really do need a multi-layered approach to care. Not only are natural supplements (including those mentioned above) important, so is a natural diet. Using the Glacier Peak Holistics Pet Wellness Stress Scan can give you a roadmap to not only what might be causing the problem in their diet and environment, but also to what will provide solutions! Taking the steps advised by the results of this test usually result is terrific improvements. Download a PDF about this issue with more suggestions, and come in and talk with our staff about the products mentioned.